Warm water is one of the basic requirements if you live in one of the coldest regions on the planet. Water heater is a good investment if you need warm water. Buying a new water heater is the first thought that will pass a customer when it comes to investing in a comfortable heating system in Canada. What if you live in a rented house, or don’t have the willingness to spend too much on a water heating system just for a few months of operation! This is where tank-less water heater rental services pitch their services. 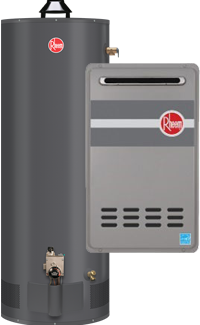 If you are willing to explore the benefits of tankless water heater rental services in Toronto, here are some pointers to help you pick the best unit for your requirement. Despite coming from the used tanker inventory, water heater rental services offer top quality units. The components are checked and inspected for any dent, hole and breakage. All units are thoroughly checked and secured with graded spare parts. Apart from the components, even the physical appearance is kept polished and well maintained with paints. When it comes to quality, AC Furnace GTA ensures that electrical, mechanical and structural quality is at par with the new ones. Every two years, the energy ratings of tank-less water heaters get an upgrade. Instead of buying a latest heater at an astronomical price, it is indeed smart to rent one instead. You can enjoy the comfort of a contemporary heater at a price that is hard to beat, with absolutely no worries about energy efficiency. AC Furnace GTA deals in tank less water heaters that comply with energy ratings as per norms. Will it cost you a bomb when you rent a furnace instead of buying one? If you have finalized a rental heater, it will cost you a little less than fixing a new one. 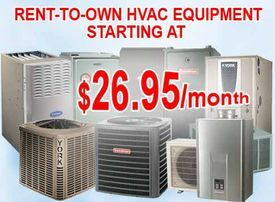 AC Furnace GTA top HVAC contractors Toronto offer installation services through licensed technicians. Since you can avail the services every year, the installation package covers the extraneous cost that often crops up while fixing new tank-less water heaters. Depending on the period of use, the tank less water heater rental services offer diagnostic and maintenance of units at reasonable rate. If the heater is under a package deal, the service could be free even. In case something goes wrong with the heater on rent, the technicians arrive in short time and repair or replace it. The customer care executives are available 24 x 7. So you are a tenant and wish to transfer the rental service to the next tenant arriving in the house? AC Furnace GTA offers transferrable tank-less water heater rental at nominal fee. You can even get a discount on the next deal you make when you shift to another house. The installation is free for the new connection. New heaters have a limited warranty. With rentals, it is a never-ending replacement warranty. Irrespective of the age of the unit, you get a replacement at no additional cost almost immediately.